2018 Mahindra TUV 300 T6 Plus Modified | adventure kit | detailed review | features | specs !!!! 2018 Honda XBlade 160 | matte marshal green metallic | detailed review | price | mileage !!! 2018 Audi A3 | most detailed review | features | price | specifications !!!! 2018 Mahindra KUV 100 Trip CNG | most detailed review | features | specs | price !!! 2018 Mahindra Bolero Pickup FB | detailed review in hindi | price | mileage | features !!!! 2018 Mahindra XUV 500 W11(O) | lake side brown | detailed review | features | specs | price !!!! 2018 Hyundai Elite i20 Asta dual tone | interiors & exteriors | walkaround !!!! 2018 Volkswagen Polo Highline Plus | touch screen | detailed review | features | price | specs !!!! 2018 UM Renegade Commando 300 | Burgundy Shine | detailed review | features | price | specs !!!! 2018 Audi A5 Sportback | most detailed review | features | specs | price !!! 2018 Ford Freestyle Ambiente | detailed review | specifications | features | mileage !!! 2018 Honda Activa i | most detailed review | features | mileage | price | specs !!! 2018 Hyundai Creta S | most detailed review | features | specifications | price !! Motorola Moto G6 | hands on review | features | price | specifications !!! 2018 Maruti Suzuki Ertiga VDI Limited Edition | most detailed review | features | price | specs !!! 2018 Tata Tamo Racemo | walkaround review | actual look !!! 2018 Yamaha SZ RR V2.0 | most detailed review | features | mileage | specifications !!! TVS Apache RTR 200 4V Race Edition 2.0 | white | detailed review | price | features | mileage !!! 2018 Toyota Innova Crysta 2.8 ZX Automatic | detailed review | price | features | specs !!! 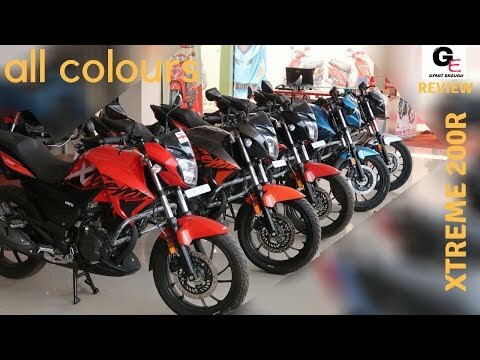 2018 Hero Duet 125 | walkaround review | actual look !!! 2018 Bajaj V15 | most detailed review | price | mileage | features | actual look !! 2018 Mahindra TUV 300 Plus P4 | 9 seater | most detailed review | features | mileage | specs !!! 2018 Isuzu MU-X 4X2 | most detailed review | features | specs | interiors | exteriors !!! 2018 Suzuki Gixxer ABS | dual disc | Black | detailed review | price | features | specifications !!! 2018 BMW X3 xdrive 20d luxury line | most detailed review | features | price | specs !!!! 2018 Hero Passion Pro 110 i3s | black red | detailed review | features | mileage | specs !!!!! 2018 Hyundai Elantra sx(o) infotainment system review | features | sound | specifications !!!! 2018 Mahindra XUV 500 W5 infotainment system review | features | specifications !!! 2018 Honda CB Hornet 160R ABS Deluxe Special Edition | dual disc | Led Headlamp | detailed review !! 2018 Honda Amaze E | most detailed review | price | features | specifications !!! 2018 Bajaj Pulsar RS 200 Racing Red | detailed review | features | exhaust sound | mileage !!! BMW X5 2018 edition xDRIVE 30d infotainment system review | features | specifications !! !